The show's writer and creator, J. Michael Straczynski has written a few books in his lifetime but none of the novels (so far) take place in the B5 universe. Still, any fan of JMS would probably enjoy reading one of his other novels (assuming you can find them). NOTE: Books are listed by publishing date from newest to oldest. Following Demon Night will be JMS Unplugged (previously titled "Straczynski Unplugged"), to be released in May 2004 (previously April 2004), a collection of published and all-new short stories, including a number of dark tales adapted from his episodes written for the TV series The New Twilight Zone. At press time, release dates for the remaining titles, the horror novel Othersyde and the supernatural-mystery Tribulations, had not been determined. ...and if you have *any* idea what's supposed to be depicted on the cover, could you let us know? I think it's my lower intestinal tract after finishing Jeremiah year 2. Eric Mathews is an orphan and a drifter who travels around pursued by bad luck (only his misfortunate is malevolently directed). Eventually he is summoned back to dedmouth port in Maine where he was born. He takes up with a nubile writer, Liz, and discovers his true identity while all around people are getting strange and eventually psychotically violent. Eric's family legacy is to guard the caves on the point where generations before the indians bottled up the dark forces. This item is now available for pre-ordering from Amazon.com® and will be released this October. You may order it now and they will ship it to you when it arrives. What made Demon Night work and the reason that it has now been picked up for republication by ibooks, is that I wrote it for myself, out of a love of the form, the genre, and a desire to be entertained by a story told about characters who mattered to me. 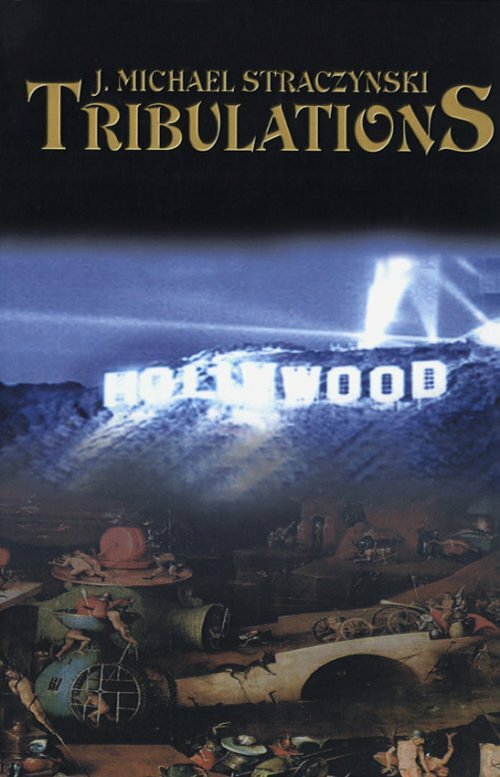 I'm pleased to note that I've just signed a deal with iBooks/Simon and Schuster to republish all of my prior works of fiction, making them available both online and in major bookstores. This includes my novels Demon Night, OtherSyde, and Tribulations, in addition to a collection of my short stories tentatively entitled Straczynski Unplugged (which should make it just about impossible for readers to find it by spelling the title), which would include a number of my Twilight Zone stories, combined with stories published elsewhere but never previously gathered into a single collection (such as "Say Hello, Mister Quigley," originally published in Pulphouse, and "Your Move," originally published in Amazing Stories), and a number of brand new, previously unpublished short stories. I think they're targeting Spring/Summer for the books to come out. Read more JMS quotes about the original publication of this novel. I actually do not own this book yet but the two stories by JMS are: "We Killed Them in the Ratings" and "Cold Type". These are not Babylon 5 related stories but fall more into the murder mystery and dark fantasy categories instead. One of my mainstream stories to come out recently is "We Killed Them in the Ratings," which though horrific isn't technically a horror story. 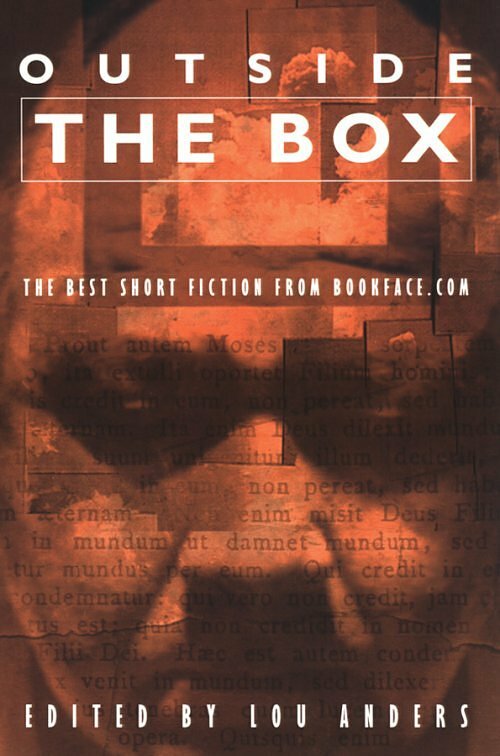 [F]or those who missed the chance to check out my two short stories on bookface.com, they've been gathered into an anthology, "Out of the Box" edited by Lou Anders. It also has a bunch of other really cool stories by other folks that are worth checking out. Cold Type (contemporary fantasy), and We Killed Them in the Ratings (novelette length thriller). "We Killed Them in the Ratings." It's a dark little picture of the inner workings of TV. I don't do that many mainstream stories, but that was one I enjoyed (if only to take a shot at TV in general). I recently finished a new short story (almost novelette length), "We Killed Them In the Ratings," which has just been published in a new collection edited by Martin Greenberg, Blowout in Little Man Flats, a mystery anthology featuring a lot of Big Name folks. It's kind of a fun (if dark) story about a local TV news program that comes up with a new approach to covering murder stories. Hell on Earth... A vicious killer stalks the streets of LA and crime reporter Susan Randall is hot on his trail. When she meets Raymond Weil she thinks she's found an ally, until his knowledge of the killer seems too complete. Even though I would love for you to buy the book from Amazon.com® (because I get a small commission for it), you should really look into purchasing it from DarkTales since it is much cheaper there. On Jul.4.2002, DarkTales announced that they are closing their operations. This means you can pick up this book for 70% off while supplies last! I have not read this book yet but I have to brag a bit here and tell you that I have a signed copy by JMS on 5.27.2001. Also, I have a few extra copies that are brand new and unread that I need to get rid of. I had bought them to share with some friends but some of them already had the book! I will part with them for $15 each which includes shipping (US Priority Mail) to anywhere in the US. International orders will have to negotiate a price privately. If you are interested, drop me an email and we can work out the details. It's a contemporary mystery/noire thriller with supernatural overtones, set in LA, and weighs in at just under 100,000 words. 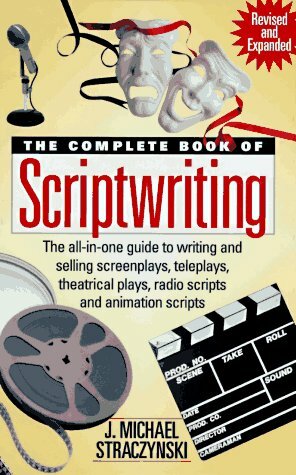 J. Michael Straczynski, writer/producer of Murder, She Wrote and creator of Babylon 5 teaches scriptwriters how to write and sell work for television, movies, animation, radio and the theatre. Straczynski covers each medium in depth. He reveals facts, tells stories and offers observations from the vantage point of a career in the business. We don't think anything substantial has changed from this revised edition in July 2002 to the hardcover version published in Oct 1996. We think they just re-issued it so it was readily available once more. There is also a hardcover edition (Oct 1996, pictured left) that might be available even though it is getting harder and harder to find since it went out of print. It's the one I wish somebody had written when I was starting out. In 1981, I wrote and published, via WD Books, the kind of book that I wished someone had written when I was trying to break into writing for the media (television, film, radio and other venues). My hope was that the book would give others that leg-up in a terribly difficult field. The original edition of the book sold almost 40,000 copies and became one of WD Books' all time best sellers...and a standard text at a number of colleges and universities. Subsequent to its publication, I heard from many writers who managed to break into the business using the book, which made all the effort worthwhile. But the business changes...and after about 5 years, I let the book go out of print until I could afford the time to revise it, make it more current, more useful (what's the point otherwise?). The "revised" edition became the "rewritten" edition. Over the course of the last 4 years, I've revised the book stem to stern, totally rewriting nearly every chapter, and adding about 100,000 words to the book, with updated information and chapters on agents, animation, and other new areas. The book also contains the Hugo-Award winning script for the BABYLON 5 episode, "The Coming of Shadows." It is my hope that you will enjoy the book. I intended for it to be useful, and to be an enjoyable read. Good luck with your own writing. 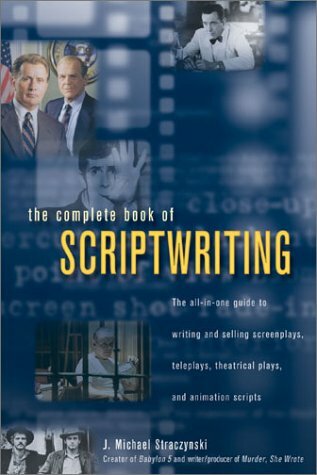 I hope THE COMPLETE BOOK OF SCRIPTWRITING will light your path just a little on that voyage. [C]urrently the only commercially available copy of a B5 script is in my Complete Book of Scriptwriting, for "The Coming of Shadows." When 16-year-old Chris Martino moves with his mother to Los Angeles from New Jersey, he inadvertently befriends nerdy classmate Roger ``Horseface'' Obst. Chris writes Roger a note in lemon juice"invisible ink"but later a different message appears, and it becomes obvious that a terrifyingly omnipotent force is about to ensnare Roger in its net of darkness. While Roger senses an opportunity for revenge against his student tormentors, Chris resists this evil presence, which identifies itself as Othersyde; therein lies the book's most forceful conflict. [D]uring our first trip to England about 12 years ago, my wife told me, very specifically, "We're not going overseas so you can write. This is a vacation. No writing." I said sure, no problem...and by the third day there I'd bought a small pen and a pocket-sized spiral notebook in a pharmacists, and was secretly making notes on my next novel (which became OtherSyde) in the bathroom at night. I slipped the reference to B5 into OtherSyde to see if it would become a self-fulfilling prophecy or just a fictional reference. Just for fun. Collection of 11 short novelizations based on episodes of the 1985-89 The Twilight Zone tv series. Eight were based on original scripts by Straczynski. Just in the original Twilight Zone book. 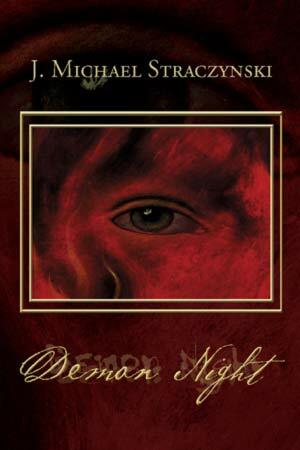 My first novel was DEMON NIGHT, published in hardcover by E. P. Dutton, and nominated for a Bram Stoker Award by the Horror Writers of America. "Demon Night," published in hardcover by Dutton (and later nominated for a Bram Stoker Award) was my first published novel. 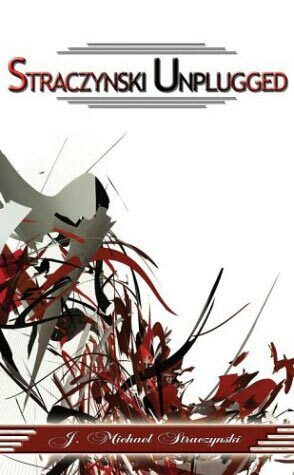 My second novel was "OtherSyde," also from Dutton. Writing novels gave me the foundation I needed to really outline and prepare B5 as a novel-for-TV.